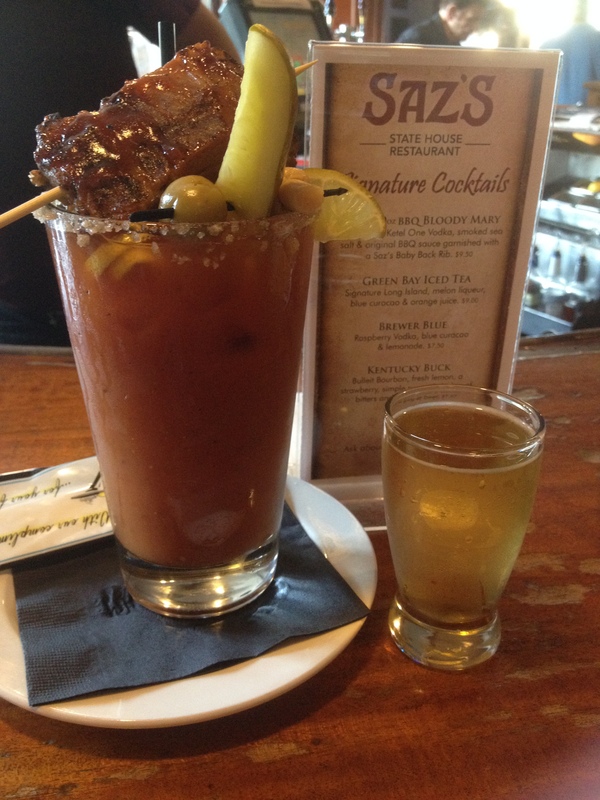 I’m not sure when it started, but suddenly it seemed like everywhere I went, I was seeing images of the Saz’s State House‘s BBQ Bloody Mary. Seeing that mouth-watering photo of a 20-oz Bloody mary, along with the differentiator–a Baby Back Rib–quickly led to me visiting the restaurant. Zing Zang is one of the better mixes out there, so the overall flavor of this drink was good; I am also a fan of salted rims, so the smoked sea salt was a nice touch. However, as I surmised, what sets this Bloody Mary apart from the competition is the Baby Back Rib. Afterall, how many Bloodies are served with a wetnap?